Rumors spread when Trina and Wayne nearly locked lips in the video for "Don&apos;t Trip," which must be around when they started dating. By &apos;06, it was rumored that Trina miscarried Wayne&apos;s baby. Later that year, their relationship seemingly came to a permanent halt when Trina dropped "Single Again." 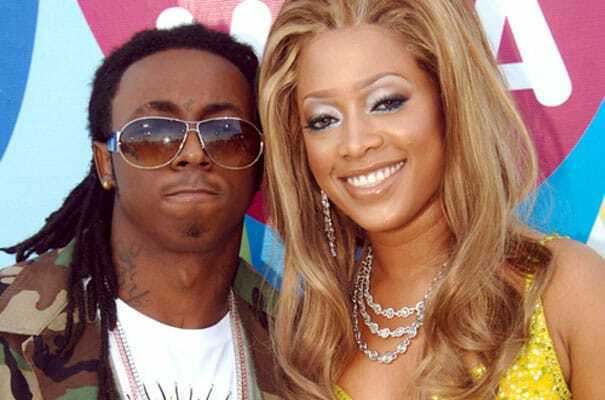 However Wayne popped up on the remix, suggesting that the two might get together again someday, despite Trina saying that when she was with Wayne, "Something was just not right." Maybe it was that Weezy was kissin&apos; Baby? Or it could&apos;ve been his quest to impregnate half the Western world. Either way, the two are apparently still cool since Wayne was spotted at Trina&apos;s birthday party last year.